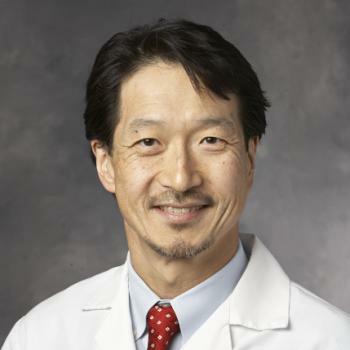 Ray Kim, MD, is Professor and Chief in the Division of Gastroenterology and Hepatology at Stanford University School of Medicine. Prior to assuming this post in November 2013, Dr. Kim was Professor of Medicine at Mayo Clinic College of Medicine. Dr. Kim earned his medical diploma at Seoul National University in Korea. He underwent training in gastroenterology and hepatology at Mayo Clinic in Rochester, MN. He also holds a Master in Science Degree in patient oriented research from Seoul National University and a Master in Business Administration from University of Pennsylvania. He has served on the Governing Board of the American Association for the Study of Liver Disease (AASLD), where he currently chairs the Global Outreach and Engagement Committee. Dr. Kim’s research interest has been in epidemiology and outcomes studies in chronic liver disease and liver cancer. His research has been funded by several NIH grants, one of which is credited for the seminal achievement of developing the Model for End Stage Liver Disease or the MELD score.